Restore the Delta works in the areas of public education and outreach so that all Californians recognize the Sacramento-San Joaquin Bay Delta as part of California’s natural heritage, deserving of restoration. 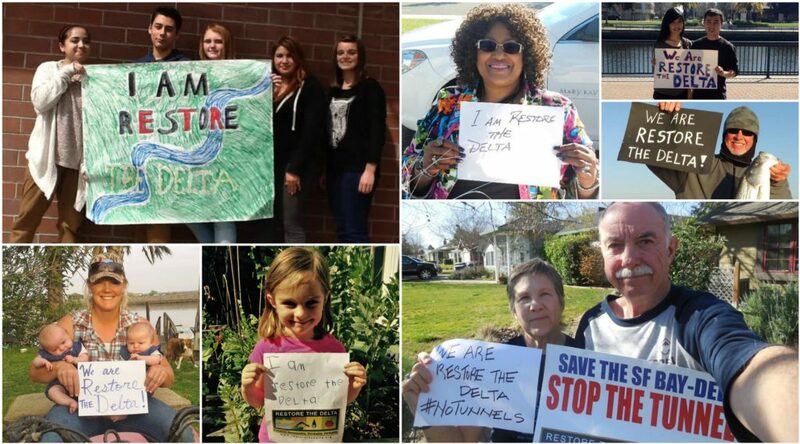 Restore the Delta is a grassroots campaign of residents and organizations committed to restoring the Sacramento-San Joaquin Delta so that fisheries and farming can thrive there together again. We fight for a Delta with waters that are fishable, swimmable, drinkable, and farmable, able to support the health of the estuary, San Francisco Bay, and the ocean beyond. A coalition of California residents, business leaders, civic organizations, community groups, faith-based communities, union locals, farmers, fishermen, and environmentalists, Restore the Delta envisions the Sacramento-San Joaquin Delta as a place where a vibrant local economy, tourism, recreation, farming, wildlife, and fisheries thrive as a result of resident efforts to protect our waterway commons. Based in the Delta, California, Restore the Delta has worked since 2006 in the areas of public education and outreach and has grown to 40,000 members from throughout California. Restore the Delta advocates for local Delta stakeholders to ensure that they have a direct impact on water management decisions affecting the well-being of their communities, and water sustainability policies for all Californians.